And Our Social Media Sites For Featured Products & More! Where the Pictures You See Are Of Our Actual Showroom Or Office's We've Setup! Not a Catalog or Stock Photo! To see pictures and pricing of what we have to offer, click the "more ads by this user" link. We have the largest selection of Electronic Sit Stand Desks in the Portland - Vancouver Metro area on display in our showroom for you to test and ready to take home! We have roughly 30 Electronic Sit Stand Desks Displayed! Over 40 including Standing Desk Options and Desktop Risers! We Have Various Solutions to Meet Your Desking Needs! Sitting for eight hours can have negative effects on the body, but sit and stand desks create a more active alternative. Spacious enough for workplace essentials, stand-up desks encourage more physical engagement throughout the work day. Customizable options let different users find the right height, position and placement options, so each sit-stand desk can be tailored to preference. However, these desks aren't just functional - they're also smartly styled. With a variety of finishes and features, standing desks are sure to fit any office décor. Check out a variety of desks to find the best choice for every office. These desks can be viewed and purchased at our Tigard Showroom. Come Visit Our Showroom We Have New & Used Options For Your Home Or Office On Display In A Working - Testing Environment. We aggressively maintain a large selection of desk, tables, chairs and accessories for your home or office needs. Adding weekly new pieces of new and used items to complete or establish your office furniture decor for productive functionality and style! Come visit our showroom it is new every day! Quality New & Used Office Furniture All In A Working Testing Environment! It is our pleasure to help you find the best solution for your home & office needs. 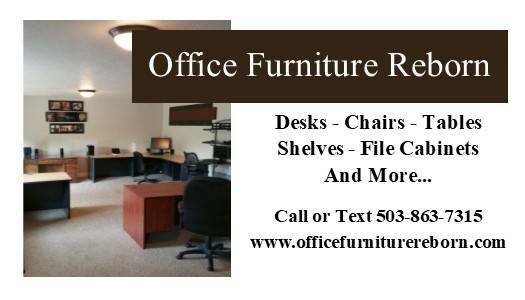 We are a company that specializes in offering New & Used Office Furniture that is in great condition at a fair price. We are working diligently to increase our selection so we can bring more options to you. At this time, you will find us a great resource for established businesses, small companies just getting started and when an existing company is adding some new employees. We can also help with your home office. 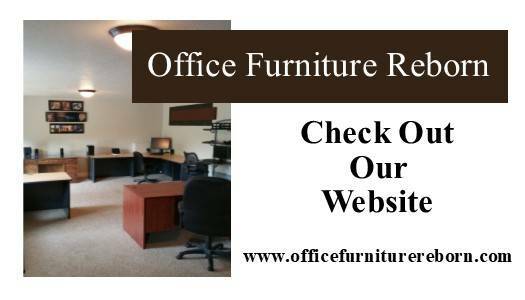 We have a large collection of quality office furniture in new & pre-owned options, various styles, shapes, and sizes. Offering new items below retail listed pricing and used pieces in great condition at fair prices providing you savings for your home or office. Whether you are creating a matching theme throughout or prefer to personalize your space, we have the furniture pieces you need for your home, a small office, or multiple items for larger businesses. Check our website for current sales and come visit our showroom and take a look at what we have available and any in-store promotions. 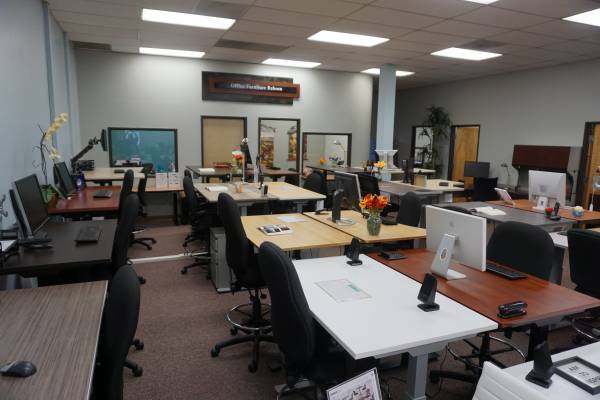 We Have The Largest Selection of Sit-Stand Desks and Standing Desk Solutions In The Portland - Vancouver Metro Area!